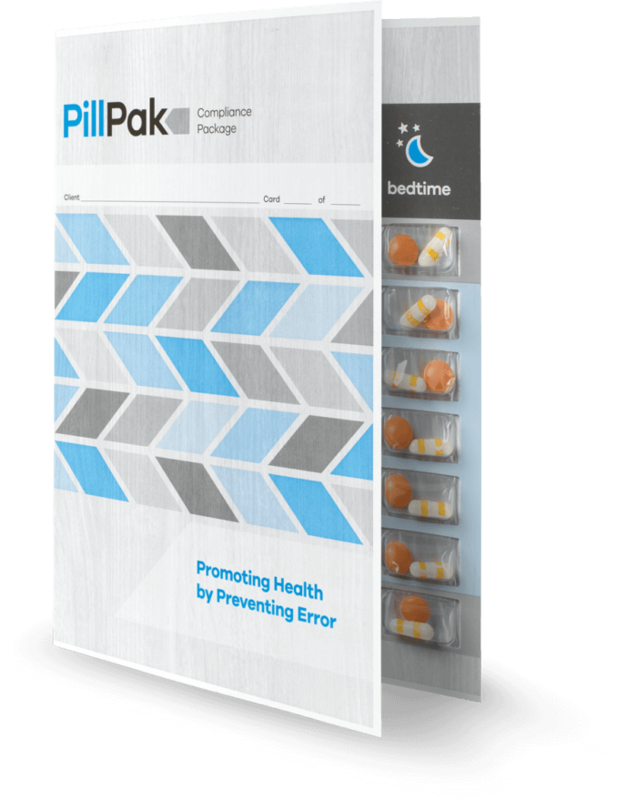 The original format of Pill Pak, available in both Cold Seal and Heat Seal, our Pill Pak Bi-Fold is an ideal solution when a patient is on fewer medications and less labeling area is required. 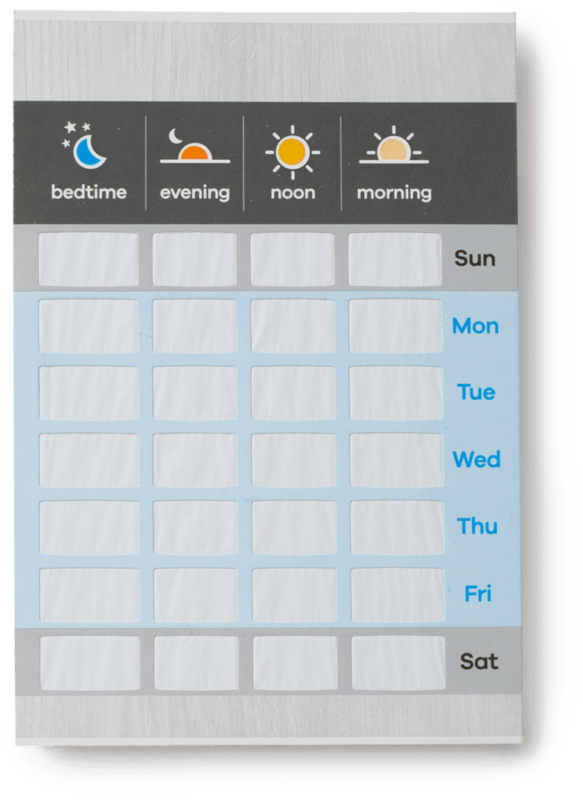 Its graphics are clearly displayed and access to all the bubbles is easy and simple, as it does not have a privacy/labeling cover. 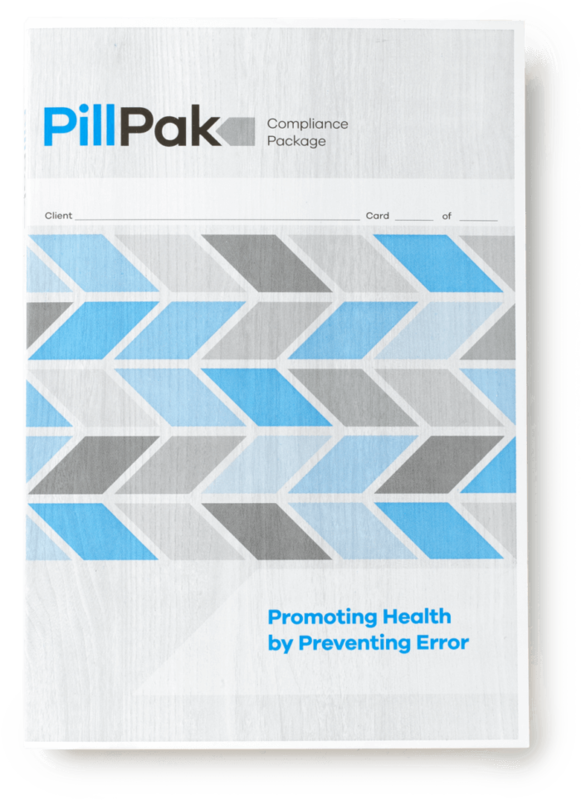 A simple to use option (less manipulation when preparing the care) the Pill Pak Bi-Fold remains a strong performer in situations where there are fewer meds to be packaged and labelled. 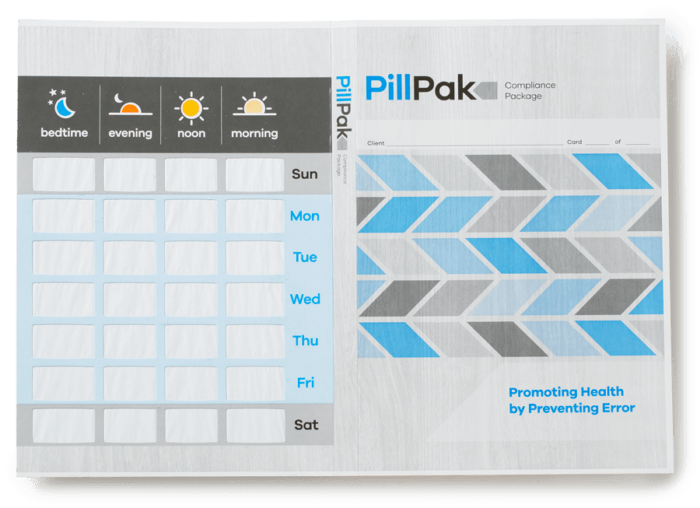 Our most popular product, the Pill Pak Tri-Fold is available in both cold seal and heat seal options. 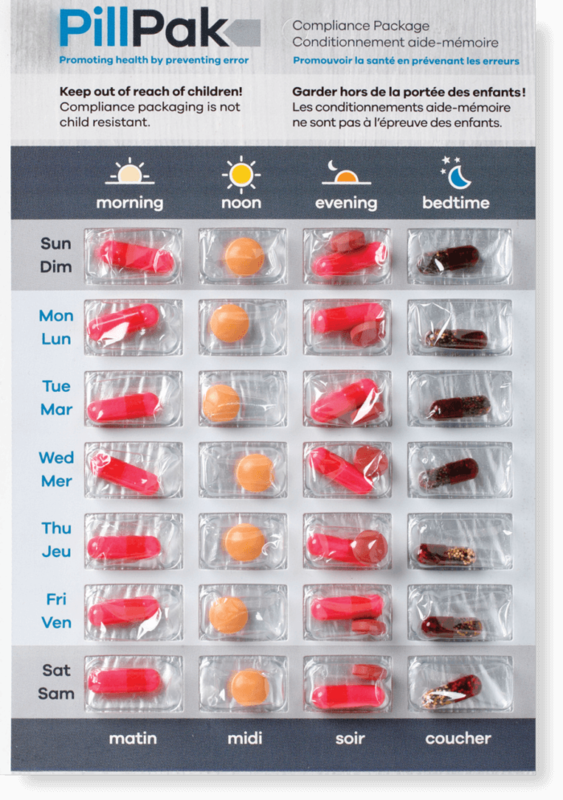 This card includes a cover which allows for maximum labelling space and when closed, it covers the medications for additional patient confidentiality. It also boasts multi colour printing with highly legible graphics and simple to understand layout formats make it easy for elderly customers to use it with confidence. In addition, it has two panels of adhesive to maximize the seal and appearance of the card, providing you peace of mind with respect to customer perceptions. This card comes in both Heat Seal and Cold Seal formats with a choice of either regular or Jumbo blisters so you can choose the system that best suits your needs.